In front of the press, before your shareholders or employees, convincing investors or just talking to your colleagues, in business, communication is more than just being understood, it’s about being the best you can. At Tallboy, we use your natural talent and work with it to optimise your performance in all areas. Our coaches and trainers have excellence and mastery in what they do, and guide you to give the performance of your life. Tallboy has more than a decade of working closely with CEO’s, executives and board members in the UK, Europe and beyond. Each executive has different needs but one shared goal: to communicate in the best possible way to their chosen audience. Tallboy will deliver bespoke training to enable the goal to be reached; be it a vital media interview or an AGM. Our training is at a time to suit you. Tallboy is happy to work weekends and evenings to fit the time you have in your schedules. All we ask for is a minimum of two hours to help you towards your goal. The media plays a vital part of getting your message across. It’s important to know how to communicate in a clear and concise way to be successfully understood by your chosen audience, whether using social media, online sites, newspapers, radio or television. 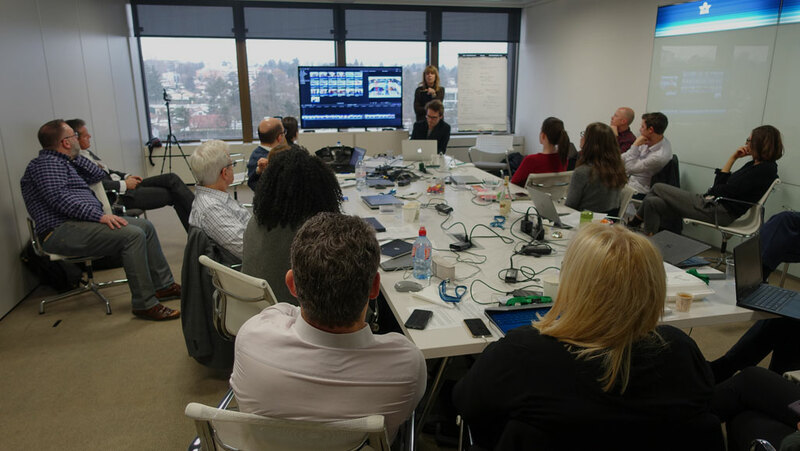 Tallboy will provide the participant with the media skills to enable them to present their corporate story succinctly and consistently, and also to react quickly and effectively to the intense demands of the media. The basic techniques of handling an interview with a journalist – from any media background. How to handle the “difficult” questions and to bridge between a difficult question and your message. An understanding of style (which is done on camera) and an assessment of strengths and weaknesses. It is commonly held belief that a good presentation is the result of 95% preparation and 5% improvisation. A good presentation is confident, clear and to the point. It delivers the messages in an enjoyable and stimulating way, which promotes thought and discussion beyond the auditorium. No matter what the event is, or who the audience is, for the presenter it is a critical moment. Tallboy’s presentation coaching courses range from taking participants from the very basics to working with experienced presenters towards specific events. We’ll help make the message stand out and enable participants to become confident, clear and effective speakers. Our coaching also includes dealing with particular issues such as overcoming nerves, pitch and tone of voice, etc, using neuro linguistic programming (NLP) techniques.